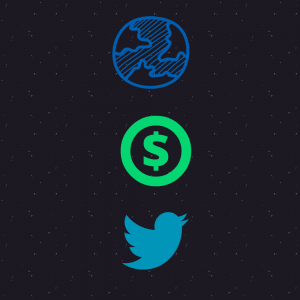 What is the BEST way to make money with social media? Actually, there’s no such thing. Honestly, the best way to make money depends on YOUR following and YOUR businessmmodel. But speaking GENERALLY, the best way to make money from social media is through sponsored posts. Sponsored posts are when a company pays an individual to share their content on their social media accounts. item in a picture on their social media accounts and mention the brand in the post. much money. It’s absolutely incredible! Of course, companies aren’t going to pay a fortune to advertise on just ANY social media account. by brands looking to sponsor you. instantly know it would be a good fit for their brand. For example, Kim Kardashian has built a huge following of people who admire her fashion and beauty styles. that actually likes your content, shares your content, and comments on your content. In fact, these days, companies are looking more at your engagement rate than they do your total follower numbers. content. It just artificially inflates your follower numbers. inflated with fake accounts. This is dishonest, unethical, and potentially grounds for legal action. more likely to engage with yours. you will start making use of it right away.